In physics, the term ‘inspiral’ describes the phenomena of two stars merging together, forming the path of a spiral and radiating incredible amounts of energy in the process. This process could be an analogy to the formation of how our projects are formed. We find that ourselves and others whether it be clients, visionaries or other professionals gravitate towards one another by sharing a comparative vision and philosophy based on design excellence, environmental concern and a desire to improve the quality of peoples lives. By combining differing backgrounds of East and West, traditional and cutting edge, local and international, the opportunity arises to create architecture which can have a hugely positive impact. The members of Inspiral bring together a wealth of experience in the design and construction of a range of building types. Our personal work has featured throughout South East Asia and the UK with clientele ranging from individuals to international firms. Every project regardless of its scale is viewed as an exciting prospect to work closely with the client, generating strong concepts which in turn develop into exceptional buildings. Our architectural service is closely integrated as the studio also provides expertise in structural design, MEP (mechanical, electrical, plumbing) design and interior design. Retail / restaurants / bars As well as producing eye catching and comfortable 5 star venues, we assist in the overall concept and branding. Places of worship Iconic spaces which exemplifies the participants dedicated spiritual nature. We have onboard a great team of mindful and creative individuals from varying professional backgrounds. Ideas and knowledge are shared in an open and equal working environment. This system allows creativity to flourish and is most effective when finding practical and efficient solutions. Being born of both British and Chinese heritage, Charlie has always been sensitive to fusing western sensibilities with eastern culture. This has been a constant reflection in his work, along with his intricate passion for the arts, technology, nature and philosophy his architecture has without a doubt formed its own uniqueness. Charlie’s formal architectural training has been based at key institutions throughout the UK. Starting at London South Bank University, he progressed on to the University of Edinburgh, culminating at the world renowned Bartlett School of Architecture (University College London) to receive his final diploma. It was here he developed his own approach, studying under the stewardship of distinguished architects – Colin Fournier and Peter Cook (Archigram, Spacelab). Charlie is without a doubt one of the most highly qualified architects practicing in Indonesia with Part 4 RIBA certification alongside an MSC in digital design. Professionally, Charlie’s experience has been very wide ranging. In his early career he worked at prestigious firms such as Atelier One and Make Architects in London. It was at the latter where he was able to apply a wide range of skills and meet the challenges of designing high profile and very progressive architecture. This included a selection of large scale dynamic office buildings, and a number of residential projects from high design bespoke homes to major housing developments. He also designed a range of mixed use schemes which would hold retail, commercial and residential. This included a competition winning proposal for an ecologically friendly mixed use building next to London Bridge. In fact, finding ways to create buildings which could help serve the environment became a specialty, aided very much by working with some of the leading consultants within the field from firms such as Arup engineers and Buro Happold. In 2009 Charlie moved to Indonesia with his family and very soon after Inspiral Architecture and Design studios was born to address the need for high end, professional and sustainable design. 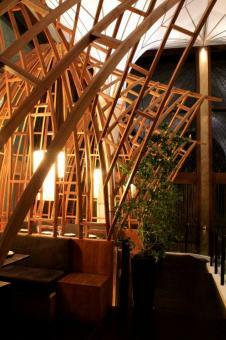 In the 8 years Inspiral has been in operation Charlie has directed the Inspiral team in the design of many beautiful buildings and environments most notably Merah Putih Restaurant. Most importantly Charlie has gained considerable knowledge and skill regarding sometimes complicated process of design and construction in South East Asia. This knowledge and experience means he has essentially become an expert in guiding his clients through the design process and he is highly respected in the region for this skill. Charlie constantly strives to find new and innovative sustainable solutions to incorporate into his designs. Charlie’s diverse skills and achievements have led to his designs being featured in many international design publications and he is regularly invited to speak at academic and corporate conferences and exhibitions internationally. 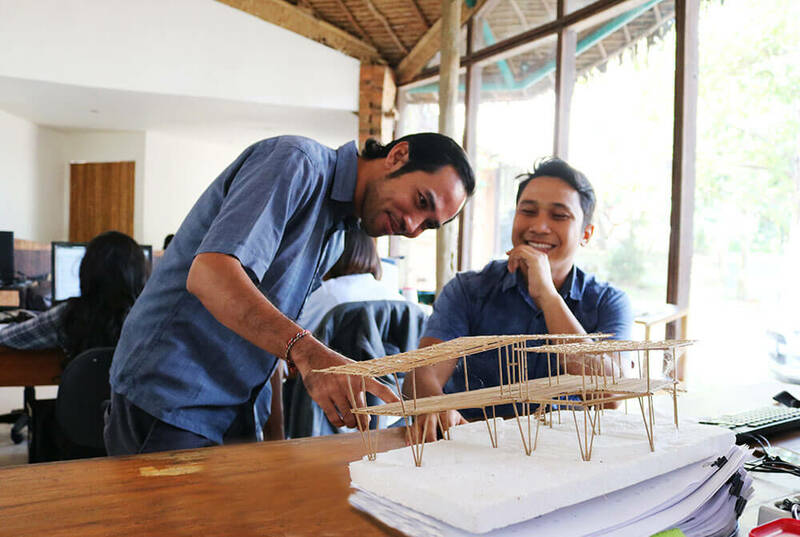 Charlie is committed in using his experience and knowledge to design thoughtful, environmentally and culturally sensitive structures that compliment the existing beauty in Indonesia. Without a doubt Yonathan is one of the most valuable members of the Inspiral team, he joined Inspiral in 2012 and has never looked back. Yonathan qualified in 2008 with a Bsc in Architecture from Parahyangan University in Bandung, for 4 years prior to joining the Inspiral team he worked at Adyatma Adi Kreasitama (A2K) where he was instrumental in the design of various high end luxury villas as well as a large spa resort. Yonathan enjoy’s working at Inspiral because he believes he thrives in an environment which challenges him to transform creative concepts into a viable construction plan while simulatenously maintaining the original characteristics of the design. His keen eye for minimalistic and modern design has pushed Yonathan to play with new and interesting materials and shapes, while always keeping the clients needs in mind and considering sustainability. In fact his ability to build a rapport with our clients has been instrumental in his success at Inspiral. He was lead architect on our design of The Practice and part of he team that conceptualized Royal Kamuela in Lombok. We are very grateful for Yonathan’s ongoing dedication to the vision and philosophy of Inspiral. Putri’s underlaying motivation in her role as Senior architect is to create original, sustainable and more responsible building projects. Since Putri graduated from ITENAS, one of Indonesia’s premier institutions, in Architectural Engineering, she has never stopped developing her architectural and professional skills. She has gained most of her experience in the city of Bandung, working in companies such as Daya Hanuraga Sinergy in the engineering department, Pensil Desain as a project architect and A2kreasitama as a senior architect leading the studio on detailed design and construction submission. Her projects include a number of award winning high end residences, resorts, convention centres and mixed use buildings. Within Inspiral she heads a strong team focusing on the implementation and execution of projects. This includes designing development drawings, handling schedules, team instruction, site inspections, coordinating consultants, contractors and suppliers, aswell as ensuring all information that leaves the office is maintained to a high and professional level. Always concerned about others and for the welfare of the project, she doesn’t hesitate to give advice and transfer her knowledge. Her ambition is high, her application is incredibly diligent is and she is full of energy. These reasons explain why she is a real motor for our team working on our most important projects. 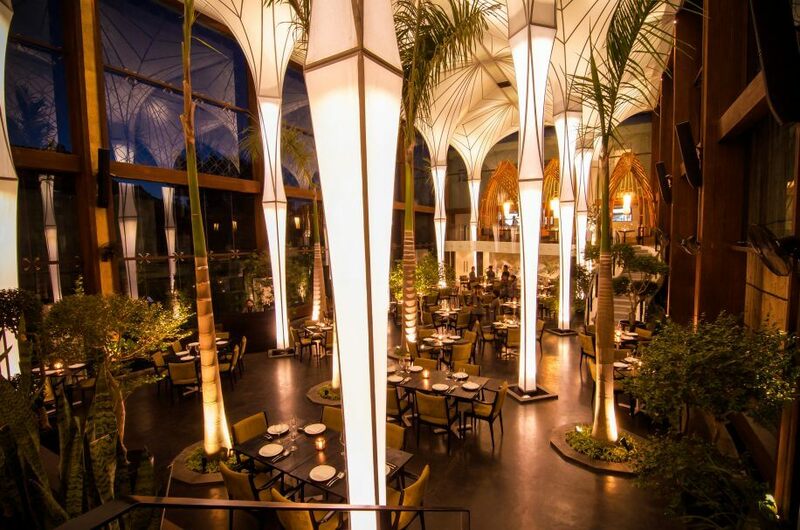 Ratmo is a highly qualified structural engineer with a passion for innovation and detail. Originally from the cultural city of Malang in Java, Ratmo has crafted his profession in high end design offices in and around the main cities of Indonesia for over 13 years. In February 2003, he graduated from the well respected Civil and Structural Engineering Program at Udayana University, Bali. It was here with some of Indonesia’s best professors he developed his interest in challenging structures such as space frame design, shell structures and composite materials. Since then he has continued his research and professional development, staying aware of technological developments especially those related to building materials and construction methods of structural components. He has also developed his professional skills to be chartered in high rise construction. As sustainable and efficient approaches have come to the forefront of design endeavors, Ratmo has pursued ways to use alternatives or find major reductions to the use of steel and cement in structure. Such outcomes have been the use of fibre reinforcement, specialist binding agents, natural pozzolanic materials and bamboo. Professionally, from his first positions in structural engineering consultancies to heading the civil and structural departments with some of the major contractors throughout the island, his experience has led to working on large scale hotels, bridges, high end residences, commercial buildings and government buildings. It was here he gained in depth practical knowledge in not only structural design, but often in other roles such as project management and quantity surveying. Applying his skills in both the design office and on site he is well skilled at coordinating each part of the building and construction process, making key decisions and structural design proposals. As Bali has an array of building locations from cliff sides to river gorges and other complex land formations, Ratmo has become well adept to finding solutions to these challenging sites. He has been leading the structural team at Inspiral for over six years, designing the structure on most of their major projects. His skills really consolidate the Inspiral team allowing us to provide our clients with a really comprehensive design and engineering service. We are privileged to have Ratmo’s as part of the Inspiral team. Since 2017, Eri has lead the mechanical, electrical, and plumbing engineering team, allowing his passion for energy efficient design to flourish. His journey began at the faculty of Mechanical Engineering at Udayana University back in 2006. Qualifying with distinction, he spent the majority of his professional experience at Golden Teknik, one of Bali’s premier engineering consultancies. Here he worked on many high profile projects including the Movenpick resort, Aston hotels and a number of high end residences and complexes which has given him strong and varied knowledge about applying the best results to often challenging situations. At Inspiral, Eri has continued to implement all of his skills into our projects providing an intelligent and effective system for all of our realizations. With the partnerships we have developed with a number of companies and consultancies leading the field in Indonesia in engineering and sustainability, he has been able take his scope to a new level. He thrives on surpassing customers’ expectations, while providing sustainable solutions in MEP which embody the culture and professionalism of the company. His experience and expertise in MEP design is why we are so pleased to have Eri in our Inspiral team. 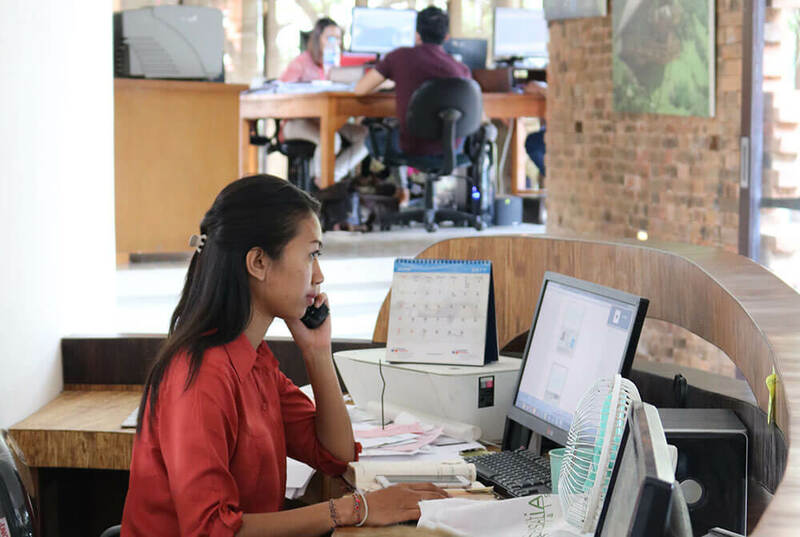 Arista joined Inspiral in 2018 and quickly implemented her skills as office manager. Her cheerful demeanor and serious work ethic are part of her great qualities as much as her previous experiences at a range of consultancies and institutions. More recently, her role as a language teacher and member of the global language academy administration have made her the perfect person to facilitate in house English classes for those staff who wish to improve their language skills. With a number of foreign clients, suppliers and partners, Arista’s impeccable English has made communication efficient and productive. Besides this, Arista ensures office harmony and goodwill while constantly improving office organization and procedures. By always wanting to work in a company which has environmental awareness, she has been able to thrive within Inspiral’s inspiring and interesting culture. Now she is pleased to share it around her. “To improve our well being we need to be inspired by the spaces we live in, the built environment, the natural, and their harmonious existence”. So how is this achievable? It would be too rigid to believe that there was a fixed formula to creating excellent architecture. Every project is different and each site is a unique setting which allows various opportunities. Therefore it is vital to develop the right approach. To begin with, we take great care when considering the clients aspirations, understanding their perspective, so we can develop an innovative and coherent response. Key to this is maintaining a flexible and adaptable approach throughout. This allows an ongoing opportunity to take advantage of changes which may happen throughout a project, whether, for example, they be due to circumstance, changes to the brief or down to the clients wishes. A long term strategy is our belief in working with the client and the public to increase awareness of ecologically mindful architecture. Every opportunity should be taken in the design to insert environmentally sound features where possible. Although often appropriate, this does not always mean only the use of familiar methods such as solar technologies, recycled or sustainable materials. There are further ways which do not necessarily add to the budget, but ensure a responsible approach to the buildings overall environmental performance. Such examples could be well designed natural ventilation systems, optimised orientation, bio sanitation and recyclable waste water, consideration of thermal mass and shading systems. However, environmental design need not be considered a separate niche, it should be what is considered good design. There are of course other factors which we place great importance into creating excellent architecture. We put major emphasis into the inventive use of building materials, qualities of light, the flow of space and an appreciation into the building and its surroundings. By using a combination of imagination and pragmatism, by thinking on a range of levels, and inventively considering the overall concept down to the finer details, buildings have the ability to both inspire and enrich the lives of its occupants. Flexibility is also a major notion in the design of a building. Modern life evolves much more quickly than before where lifestyles change, business progresses, new forms of usage come into place and functional requirements develop. Buildings can be designed in such a way to respond to this by using a holistic design allowing enough flexibility to accommodate changes over its lifespan. If buildings have scope to evolve, using open ended, adaptable frameworks, with inventive servicing and well distributed light, then its userbility can be maximised. We endeavour to find ways to minimise budgets, optimise efficiencies of the building, and create value. This can be achieved without having to jepordise the overall integrity of the design. By using the right technologies and materials that are durable rather than replaceable, can sustain the environment rather than pollute it, while having a timeless aesthetic rather than one based on current fashions, the building can add value over time rather than falling victim to short term economies.